Comprised of rustic brown leather uppers, the Blundstone 1306 chisel toe dress boot is perfect for all-day wear. 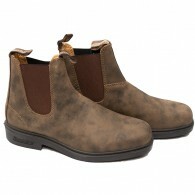 These versatile boots can be dressed up or down to suit the occasion. 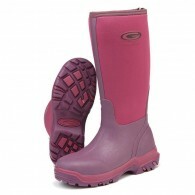 Polyurethane outsoles provide extra cushioning for your feet and enhance comfort, whilst the removable footbeds add e..
Ladies, these Grubs Frostline 5.0 Wellington Boots in a delightful two-tone Fuchsia pink simply can't be passed up on. Stylish? Yes, Comfortable? Of course, are they practical? Most definitely! 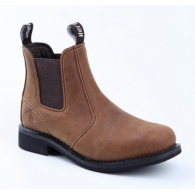 With Grubs INSU-FOAM ULTRA™ technology you can be guaranteed warmth and protection for your feet during an..
Top layer genuine cowhide leather upper Double elastic gusset Goodyear welted construction for increased durability Deluxe PU footbed providing optimum levels of comfort ..